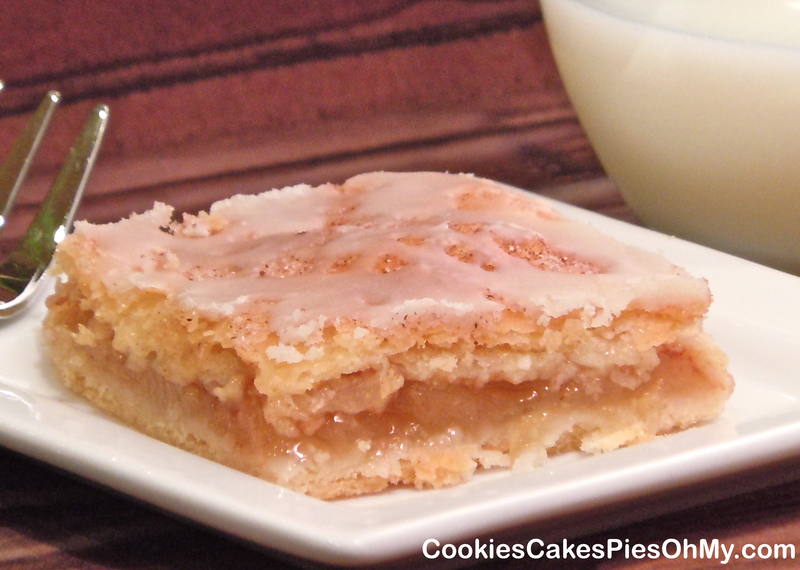 These apple squares are amazing, just like picking up and eating a mini apple pie. 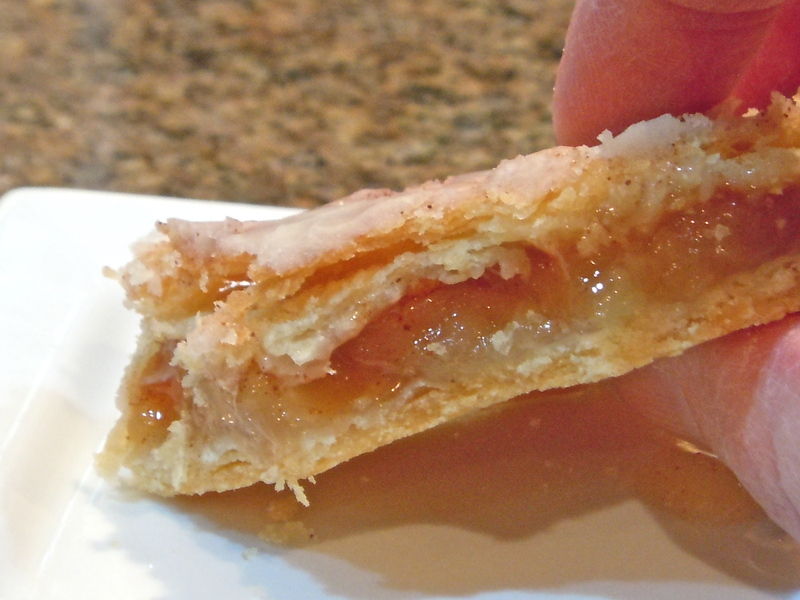 They have a flaky pastry crust bottom and top with heavenly apple filling inside. But, they are labor intensive, and take quite a bit of time to prepare. So, here is my shortcut, canned apple pie filling. I know, there are purist out there, so I will include the filling recipe, and it is nice to make when you have the time. 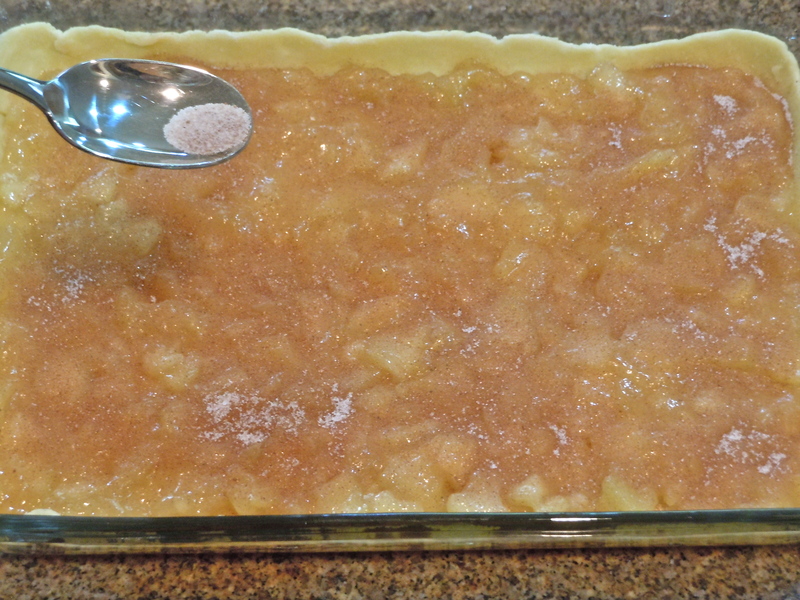 But, when you want these decedent apple squares and you don’t have all day, this shortcut is the answer! Combine flour and salt. With pastry blender or two knives, cut shortening into flour until crumbly. Mix egg, water, and lemon juice, mix into flour mixture to form a ball. Divide pastry dough in half. 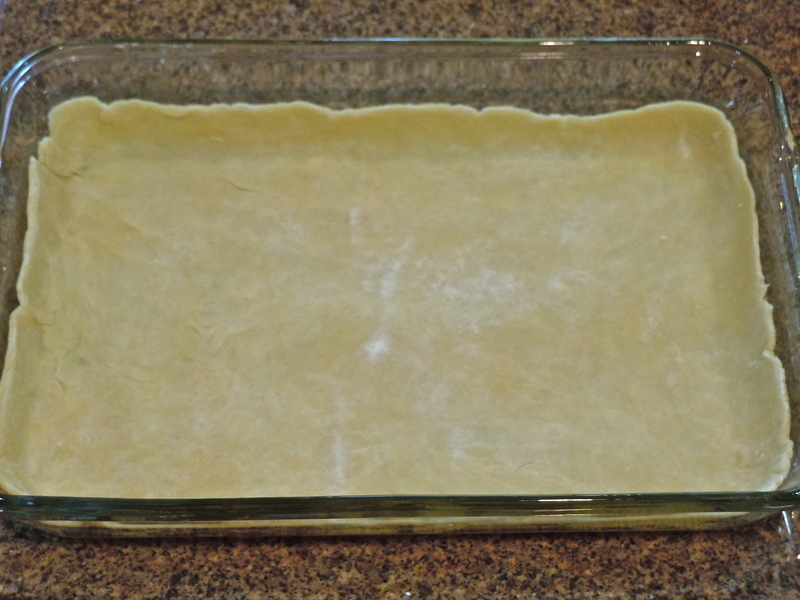 On floured surface, roll one piece of dough out to fit in bottom and slightly up sides of 13″x9″ pan. Ready for filling. Preheat oven to 400°. 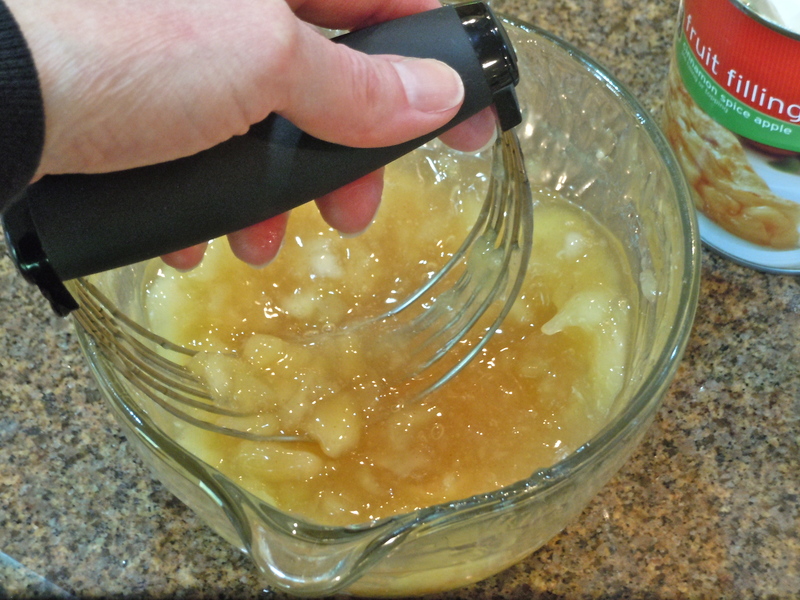 Pour filling into bowl and with pastry blender or two knives cut apples in filling to make small pieces. Spread filling out evenly over pastry in bottom of pan. In small bowl, mix sugar, cinnamon, and nutmeg. Sprinkle about 2/3 of mixture over filling. Roll remaining pastry piece to fit completely over filling, and gently lay over filling. Fold bottom pastry edge over top pastry and press to seal or use pastry wheel to roll around edge to seal top and bottom together. 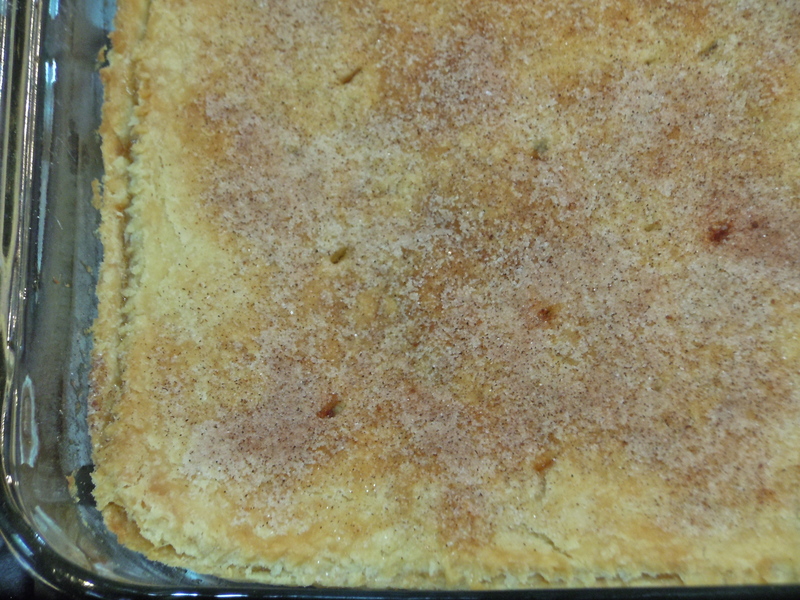 Cut a few slits in top crust to vent, sprinkle with remaining cinnamon sugar mixture. Bake for 35-40 minutes, may need to cover with foil during baking to prevent from over-browning. Cool completely. Drizzle with glaze. Combine all ingredients and drizzle over top pastry. 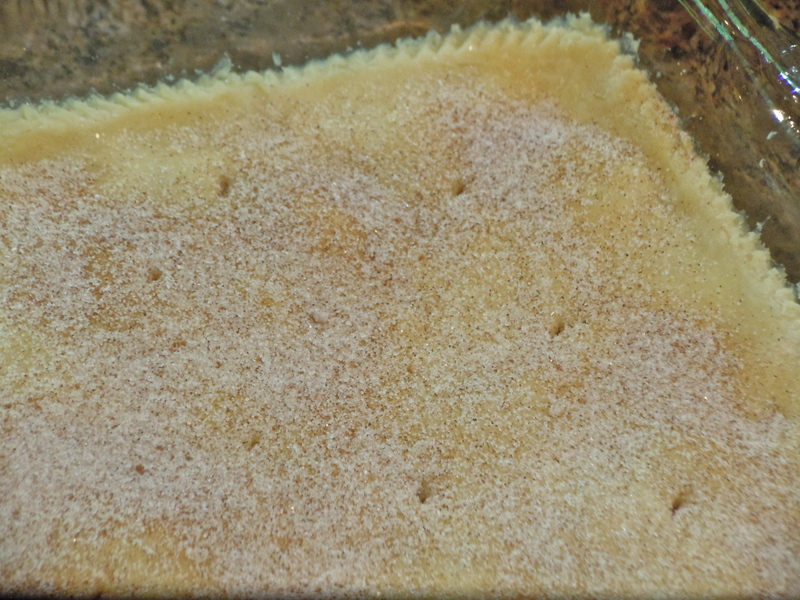 Combine brown sugar, cornstarch, and water in saucepan. Add apples, heat to boiling, stirring constantly until thickened. Reduce heat and simmer 5 minutes, stirring occasionally. Remove from heat. Stir in cinnamon, nutmeg, and lemon juice, cool.